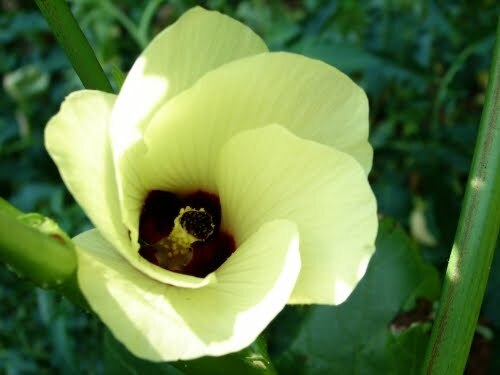 Although this looks much like an exotic flower, it is actually an okra blossom. They are incredibly beautiful and yet hidden away on a spindly stem beneath less than spectacular leaves. Okra doesn’t even enjoy the status of being a popular vegetable like green beans or peas or sweet corn, and yet, its blossom rivals the beauty of orchids or roses. Do you sense a lesson here? When we are hidden in Christ, the world can’t appreciate our true beauty. And rightly so. When we stand before unbelievers, they should see Jesus, not anything that would bring attention to ourselves.